Welcome to my Music Diary – today for the 3rd February! On the 3rd February 1992, Pearl Jam played their very first gig in Europe in Southend, England! 300 lucky people witnessed this very special and historic moment in Rock history! Pearl Jam’s first Europe tour was scheduled from 3rd February until 13th March 1992, by playing in eleven differerent countries (England, Scotland, Sweden, Norway, Denmark, France, The Netherlands, Spain, Italy, Switzerland and Germany). Welcome to my Music Diary – today for the 11th January! Happy birthdy to Mr. Clarence Anicholas Clemons, Jr., better nown as „The Big Man“ and more better known as the tenor saxophone player of Bruce Springsteen’s E Street Band from 1972 until his passing in 2011. Clarence was born on the 11th January 1942 in Norfolk County, Virginia (USA). At the age of nine, his father gave him an alto saxophone as a Christmas present and Clarence received music lessons. Over the years he switched to the baritone and finally to the tenor saxophone. In his youth, Clemons was an excellent football player and due to a serious car accident, his plans becoming a pro were annihilated. His first recording sessions took place in 1960 and one year later he joined his first band called „The Vibratones“ (until 1965). In the meantime Clarence Clemons has moved to Newark, New Jersey, where he also worked as a counselor for emotionally disturbed children at the Jamesburg Training School (from 1962 – 1970). Bruce Springsteen started in July 1972 to record his debut ebut album „Greetings from Asbury Park, N.J.„. During recording breaks he also jammed with Clemons at some occasions and after that, he decided to use a tenor saxophone on the songs „Blinded by the Light“ and „Spirit in the Night„. This was the start of a long cooperation and a deep friendship which holded on until Clemons‘ passing in 2011. Clemons‘ final recordings are featured on the Springsteen album „Wrecking Ball„, which was released in 2012. On the 12th June 2011, Carence suffered a stroke and only six days later, on the 18th June, he died of complication from it at the age of 69 years. Welcome to my Music Diary – today for the 23rd December! Happy birthday to Mr. Edward Louis Severson III, who is better known as Eddie Vedder! Eddie was born on the 23th December 1964 in Evanston (close to Chicago – Illinois) and he became and is still the frontman of the legendary Grunge band Pearl Jam. Beside that, he is doing also some solo stuff and various projects like his fantastic recording of the amazing soundtrack „Into the Wild“ (2007). In the seventies he moved with his family to San Diego (California) and on his 12th birthday (1976) he received a guitar from his mother. So beside surfing, Eddie started to play music. Dropped out of high school, he moved to Chicago and changed his name into Vedder (his mother’s maiden name). In the eighties Eddie Vedder earned his high school GED and moved back to San Diego (1984). Beside his day jobs he started to record demo tapes. Four years later Eddie became the vocalist of the band Bad Radio. In 1990 Vedder left the band and crossed the paths of drummer Jack Irons, who became a close friend over the years. Irons handed him a demo tape from a group located in Seattle, which was looking for a singer. While listening to the music, Vedder wrote the lyrics for three new songs, recorded his singing and sent the tape back to Seattle. These tracks became later the Pearl Jam classics „Alive„, „Once“ and „Footsteps„. Eddie Vedder get invited by Stone Gossard and Jeff Ament, who were very impressed by his singing. At that time both were working with Soundgarden’s Chris Cornell on the band project Temple of the Dog. During the recording sessions for the self-titled album, Eddie and Chris did a duet for the song „Hunger Strike„. After that, the band Mookie Blaylock (featuring Eddie Vedder on vocals, Stone Gossard on guitar, bassist Jeff Ament, Mike McCready on second guitar and drummer Dave Krusen) was founded. On the 22nd October 1990 the first concert happened in Seattle at the Off Romp Café. Shortly after this, the band changed the name into Pearl Jam and the quintet was signed to Epic Records. In March 1991 the Grunge Rockers started to record the epic debut album “Ten“. This LP was released on the 27th August 1991 and sold over 13 million times in the USA until today and marks the most successful album in Pearl Jam’s history. Welcome to my Music Diary – today for the 22nd November! On the 22nd November 1993 the third studio album by Pearl Jam was released. „Vitalogy“ hit the stores only as a vinyl edition on this day and the album became the first LP to appear on the US chart since the CD relieved the old music format. The comapct disc edition (and also the MC release) of the new Pearl Jam album was available on the 6th December 1993. The 14 songs were recorded at different studios and finally produced by Brendan O’Brien. With 34,000 sold copies in its first week of release, „Vitalogy“ held the record until Jack White’s LP „Lazaretto“ (2014) for most vinyl sales in one week. The „Rolling Stone“ gave „Vitalogy“ four of five stars. Writer Al Weisel described the LP as „a wildly uneven and difficult record, sometimes maddening, sometimes ridiculous, often powerful.“ In „The New York Times“ the album was praised for the diversity compared to the band’s previous records. Editor Jon Pareles judged: „Fast but brutal punk, fuzz-toned psychedelia and judicious folk-rock, all of it sounding more spontaneous than before“. The first single outtake „Spin the Black Circle“ (featuring „Tremor Christ“ on the flip side) received the band first Grammy Award in1996 for Best Hard Rock Performance. The other two outtakes were the singles „Not for You“ and „Immortality„. In 2011 the remasterd version of „Vitalogy“ (including the second Pearl Jam studio album „Vs.„) was released. The expanded version includes three bonus tracks and a copy of the concert „Live at the Orpheum Theater, Boston, April 12, 1994“ on DVD. Welcome to my Music Diary – today for the 22nd October! 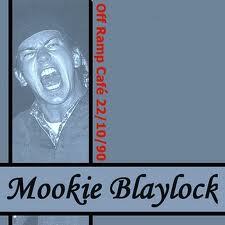 On the 22nd October 1990 a band called Mookie Blaylock played their fist concert in Seattle at the Off Romp Café. 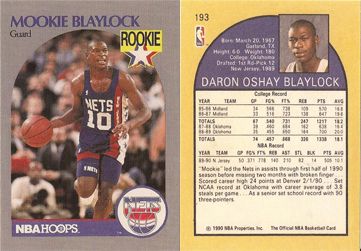 Eddie Vedder (vocals), Stone Gossard (guitar), Jeff Ament (bass), Mike McCready (guitar) and Dave Krusen (drums) named their new group after the Basketball star Mookie Blaylock. The young quintet shared the stage that night with the bands Bathtub Gin and Inspector Luv & The Ride Me Babies (who later became Green Apple Quickstep). Shortly after this, the band renamed into Pearl Jam and signed to Epic Records. In March 1991 the Grunge Rockers started to record the epic debut album „Ten„. This LP was released on the 27th August 1991 and sold over 13 million times in the USA until today and marks the most successful album in Pearl Jam’s history. Welcome to my Music Diary – today for the 23rd September! 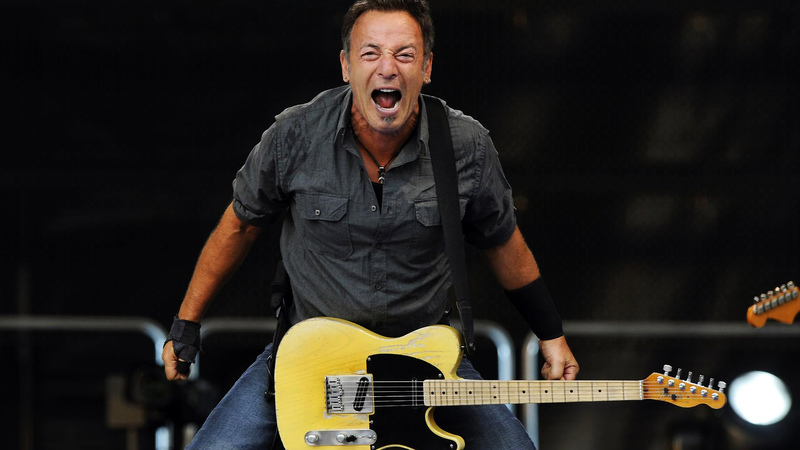 Today in the year 1949 Mr. Bruce Frederick Joseph Springsteen was born in Long Branch, New Jersey. Later nicknamed as „The Boss“, Springsteen started his musical career in the late sixties with the band Earth. After that, Bruce Springsteen was from 1969 until 1971 member of Steel Mill. In this group were also Danny Federici, Vini Lopez, Vinnie Roslin and Steve Van Zandt – all these people became later musicians of Springsteen’s The E Street Band. In 1972 Bruce Springsteen signed with Columbia Records and his debut album „Greetings from Asbury Park, N.J.“ was released in January 1973. A few months later, the follow up „The Wild, the Innocent & the E Street Shuffle“ hit the stores in September. His first breakthrough marked his third LP, called „Born to Run“ (1975), which reached No. 3 on the US charts. Especially the title track became a classic in the Springsteen discography. With the following albums „Darkness on the Edge of Town“ (1978), „The River“ (1980) and „Nebraska“ (1982) the fanbase get bigger and with the legendary record „Born in the U.S.A.“ (1984) Bruce Springsteen topped almost worldwide the album charts. From the twelve songs seven were released as singles and almost all of them went Top Ten all over the world. Over the last decades Bruce Springsteen released more outstanding albums like „The Ghost of Tom Joad“ (1995), „The Rising“ (2002) and „Devils & Dust“ (2005). Remarkable for „The Boss“ is his open minded musical attitutude: So his last release „High Hopes“ (2014) features Tom Morello (Rage Against The Machine, Audioslave) on eight tracks.